CEOCFO: Dr. Deka, you have a long history in the bio industry. What prompted you to found Indexus Biomedical, LLC? What is the focus? 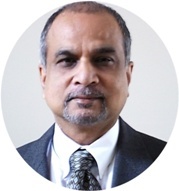 Dr. Deka: I am in the in vitro diagnostics segment of the medical device industry. The industry has evolved over the last fifty years through companies like Beckman Coulter, Abbot Diagnostics, Becton Dickinson and major medical device corporations. Although technologies have evolved over these last five decades, many of the technologies and the products that are currently found in the market still have a legacy from those old days. With large installed bases of such products, transition to newer technologies can be slow and the instruments and the products continue to be quite expensive and complex. We are trying to redefine some of the paradigms on which the products are currently being offered, so that we can bring advanced reference laboratory caliber tests into decentralized healthcare settings, such as the physician�s offices, primary care centers and small hospitals and clinics. This is the main driver behind the founding of Indexus Biomedical. CEOCFO: What are you working on today, specifically? Dr. Deka: We are developing a point of care platform that combines three major applications in one single instrument. Specifically, we are developing a first-of-a-kind multifunctional blood analyzer for point-of-care (POC) diagnostics that will provide automated hematology analysis, fluorescence flow cytometry and bead-based immunoassays. This platform, called the TriSense Dx, can differentiate blood cells based on morphology and immunophenotypes, and in addition, detect cell-free biomarkers in blood and other sample matrices. We are developing the CBC with 5-part differential, HIV antibody and antigen tests, a multiparametric malaria test, an immune monitoring test, and test to detect bacterial pathogens on this system. CEOCFO: What are the challenges in putting that together? Dr. Deka: There are several challenges in creating an integrated multifunctional platform like the TriSense Dx system. One must develop the core technologies for each of its multiple functions to be simple and mutually compatible to one another. And in doing so, we must keep the overall cost of the integrated system low and the size of the instrument small to be affordable and useful in small healthcare settings. Additionally, significant efforts and attention must be given towards reliability and safety issues, as well as regulatory requirements. We have developed several patent-pending technologies that will help in addressing these challenges. From an execution perspective, funding for the development of this product is a challenge, as development of products involving hardware, software, chemical reagents and new test protocols can be capital intensive. CEOCFO: Have physicians and hospitals been looking for a better way? Do they recognize that some of the methods they are using do not work as well as they should or is it more that when people see it they will recognize the value? Dr. Deka: It is a little bit of both. If you are in a major city in a developed country, it is not much of an issue because you can have access to many different products and facilities close by. However, as you go farther away from the major cities, particularly in the developing countries, access to affordable diagnostics testing gets more and more difficult. It is quite difficult to get results within the same day as samples must be sent out to distant reference laboratories; it takes several days to get the results back. In many cases, it is not even possible to send samples out, because of poor transportation infrastructures. With our product we will off improved access to a large menu of tests for both infectious and non-infectious diseases that are not currently available in decentralized settings. CEOCFO: Do you have a product ready to go? Where are you right now? Dr. Deka: We are still in the development stage. We have built prototypes and demonstrated applications in automated 5-part differential, HIV testing, immune system monitoring, and tests for malaria. We have also demonstrated that our system can rapidly detect bacterial pathogens, such as E. coli. However, we still need to develop the product for commercialization. CEOCFO: What is the response when you talk with people that might use the product? Dr. Deka: The response has been amazing! They tell us that if we can really bring the TriSense Dx platform to market, they would love to see it in their labs and their healthcare centers. The key will be to deliver the system at an affordable cost with the required safety and reliability for diagnostic application. The general opinion so far seems to be that an affordable multifunctional instrument will change the way patient samples are processed and diseases diagnosed right now. CEOCFO: How do you pull the different technologies together? Can you give us an idea of how you are able to put so much into one piece of equipment? Dr. Deka: Yes. There is actually a core technology called flow cytometry which is used heavily in life sciences research laboratories for cellular analysis. There is a diagnostic application of flow cytometry called the complete blood count (CBC), which is also known as automated hematology analysis. The underlying technologies of flow cytometry and hematology are similar, but the engineering designs are significantly different. We have brought the two together via innovative integrated optical engineering, microfluidics, and novel techniques for assay automations, allowing us to bring all of it together into one platform without multiplying the cost and complexity. CEOCFO: What has been the interest from the investment community or perhaps larger companies that might want to partner with you? Dr. Deka: We have been in discussions with several of larger companies, and they have expressed interest. However, currently larger companies prefer to acquire completed products, rather than invest in technologies. Therefore, we need to move this platform along further. We expect that with the completion of our next generation prototype, we will see significant investment interest, not only here in the US, but also outside the US. Currently we are in discussion with a number of investors. CEOCFO: What did you learn as you have come to the point where you are? What worked out the way you expected? What turned out a little bit differently? Dr. Deka: I think that initially, when I founded the company five years that we were hoping to leverage much of our work through government grants. We received an NIH grant early on, but funding through the grants process turned out to be somewhat not very productive because there is a long cycle-time between proposals and outcomes. Therefore, that part did not quite work as expected. On the other hand, we were able to move our research much faster than we had originally expected with a funding that we were able to put together. We also received significant support and collaboration from large and reputable research organizations, including Duke University Medical School, University of North Carolina Chapel Hill, the Center for Disease Control and Prevention, and many other institutes. That support has been very important for us and we are very pleased with how that turned out. CEOCFO: What goes into the affordability question? How do you know what the market will bear and how can you perhaps work to have the product available at a lower price point? Dr. Deka: That is a very good question and it is a very complex question! As you know, right now the point of care diagnostics is being discussed and talked about a lot and affordability is very much at the center of this discussion. One of the problems that we have seen is that when one builds what we would call a single function point of care device, when everything is developed, you still have a device that costs several thousand dollars. When you take it out to the small facilities the problem is that the farther that you go from the central lab scenario and the smaller the facilities become, the smaller the number of patients that they see. That means that you are not running those instruments to their full capacity. That causes a problem in generating revenues, both for the provider as well as for the manufacturer. This has already caused many good products to basically disappear after a short time in the market. Since we combine routine diagnostics with specialty testing capabilities, offering the functionalities of at least three major instruments, the price of our system is a third of what it would cost if we had to deliver the same functionalities with three different instruments. In addition, by leveraging the synergies that exist between flow cytometry and automated hematology analysis technologies, we can share major hardware and software components in the instrument for the different applications and reduce the overall cost of the instrument. CEOCFO: Address our readers � the healthcare and the investment community. 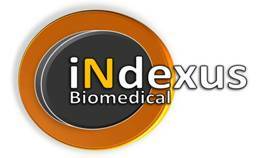 Why pay attention to Indexus Biomedical, LLC right now? Why is the company so important? Dr. Deka: The TriSense Dx technology that we have developed is a revolutionary new approach to delivering POC diagnostics and will change the way patient samples are processed at decentralized healthcare facilities. There is great growth potential for this product and the market it is targeting. From the organizational perspective, Indexus Biomedical is a unique company in the sense that we are a startup, so we obviously have an excitable group of very innovative people on the team. But we also bring more than one hundred and fifty years of combined medical device industry experience in FDA regulated global corporations. We bring together the entrepreneurial zeal of startups and solid experience from the real world of in vitro diagnostics industry. I believe that this will reduce the risk for any investment made in our project and our company.